The BRBC crew joined the festivities at Raven Hall in Palmer last weekend to taste a few of the great craft beers Alaska has to offer. 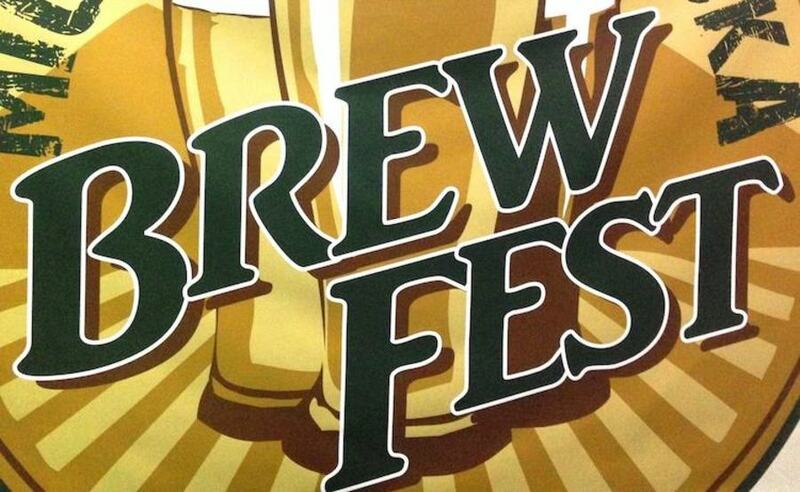 The Mighty Mat-Su Brewfest is mighty indeed, with the likes of Arkose Brewery, Denali Brewing Company, and Last Frontier Brewing Co. on hand to represent the valley. The music was loud, the ribs were tender, and the beer was delicious. While we can’t rightly say which brew was our favorite amongst so many finely crafted beers, we particularly enjoyed Arkose’s Autumn Serenade Harvest Ale and Denali’s Purple Haze, an American wheat loaded with 300lbs of fresh blueberries. This was also a perfect venue to debut our new BRBC swag. We’ve been working with Ed Carson from Bend, OR over the past several months to develop the official Bearpaw River Brewing Company logo. Ed is a super talented graphic artist who designed the original Deschutes Brewery logo back in the late 80s, so when we had the opportunity to work with him we jumped at it. The gear was printed locally at Alaska Serigraphics for BRBC investors (sorry, swag not for sale quite yet), and it was great to get it out of the box and into public. Our biggest takeaway from the fezzy was this: Raven Hall has not yet hit capacity. There is still plenty of room for another booth, and we can’t wait to pour our tasty brews at this festival in the future.